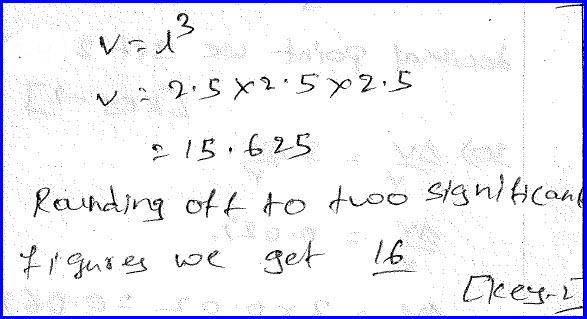 We would like to solve a problem basing on significant figures. Significant figures are the numbers in represent a physical quantity basing on which we can say the accuracy of a physical quantity. If we don't want that much accuracy, we can round off the given number as per our requirement. Volume of the cube can be determined by the cube of the side of the cube. The given physical quantity has two significant figures and hence even the volume also shall have only two physical significant figures. This is the rule that we shall follow while we are doing multiplication and division. 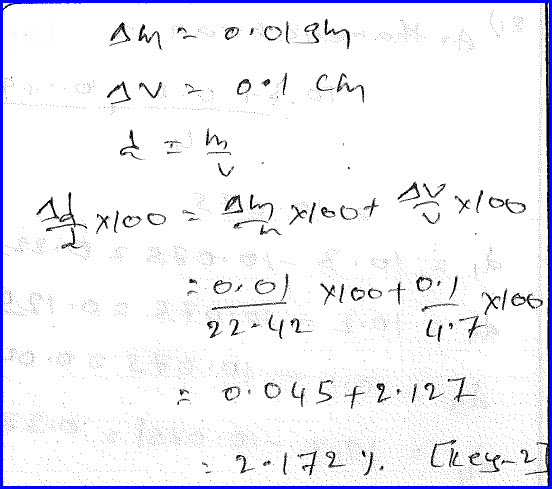 This problem is regarding measuring the error in a mathematical measurement where some physical quantities are involved. Given physical quantity is density which is defined as the ratio mass to the volume of the body. We need to measure the percentage error in mass and volume. It is nothing but the ratio of error in measuring the physical quantity and its original value. 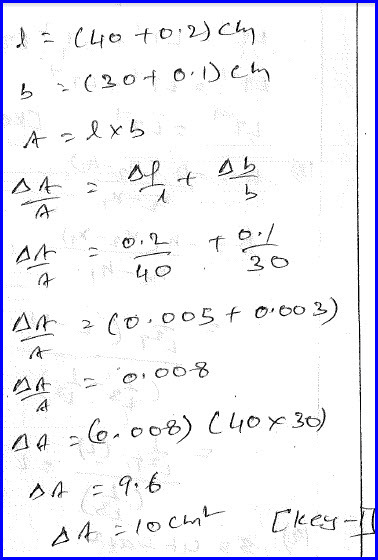 The total error in volume is the percentage error of volume and mass. We can measure it as shown in the diagram below. 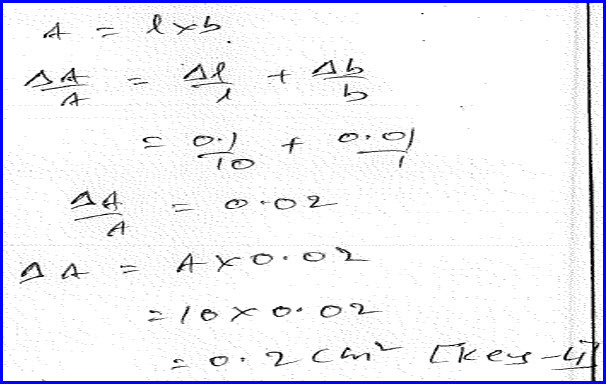 This problem is also about measuring the error in a physical quantity like area. It is defined as the product of length and breadth of the given body. As area is the product of length and breadth, percentage error in area is the sum of fractional error in length and breadth. Once we know the factional error, we can get the error in area, by multiplying the fractional error in area with original area as shown in the diagram below. 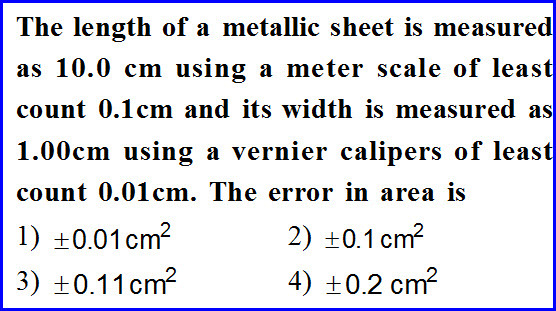 The following problem is regarding error measurement while we are using the device vernier calipurse. Least count is the least value that we can measure with a device. With the Vernier caliperse, we can measure a least value of one by hundredth of the centimeter. So it gives better accuracy when compared with the normal scale. Any way this is also similar to previous problem where we are going to measure the error in the area.